A complete 3,200-year-old skeleton with cancer could help scientists better understand how the disease has evolved. The remains of the wealthy man aged 25-35, which were found in a tomb close to the River Nile in Sudan by Durham University student Michaela Binder in 2013, showed evidence of cancer spreading around the body. Researchers claim it is the oldest and most convincing example of metastatic carcinoma to ever be found. They hope the discovery will help to explore underlying causes of cancer in ancient times and provide insights into the evolution of cancer in the past. "This may help us to understand the almost unknown history of the disease," said Ms Binder, the lead author from Durham University's Archaeology Department. "We have very few examples pre the first millennium AD. We need to understand the history of the disease to better understand how it evolved and for that it is important to find more examples. The bones were found at the once-populated Amara West site, 750km downstream from the modern capital of Khartoum, providing concrete proof that cancer did exist in the Nile Valley in 1200BC. 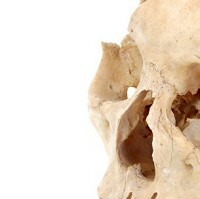 Although the disease is one of the leading causes of death today, it is extremely rare in archaeological finds compared to other detectable killers. This had led scientists to conclude that cancer is a product of modern lifestyles and increased longevity. There are more than 200 different types of cancer, each with its own methods of diagnosis and treatment. Whether you are a cancer survivor or are undergoing treatment for cancer, cancer travel insurance is important when going on holiday. It provides peace of mind and cover for any medical expenses incurred when away.